The Great Britain pound was the strongest major currency on the Forex market during Thursday’s trading after UK Prime Minister Theresa May won the confidence vote on Wednesday. The opposition Labor Party leader Jeremy Corbyn tabled a no-confidence motion after May suffered a resounding defeat in the voting for her Brexit plans. May’s government managed to win the confidence voting with 325 to 306 votes. After the victory, the Prime Minister offered members of the Parliament to meet and discuss Brexit plans, but Corbyn sent out a letter to MPs, urging them to reject the meeting until May guarantees that “no deal” Brexit will not happen. In response, May urged him to join the talks, saying that “no hard Brexit” is an “impossible condition” as it is not within the government’s power to guarantee it. As for Britain’s macroeconomic data, it was not good, though hardly had any impact on the currency market. The house price balance reported by Royal Institution of Chartered Surveyors fell to -19% in December from -11% in November. Analysts had expected a smaller drop to -13%. 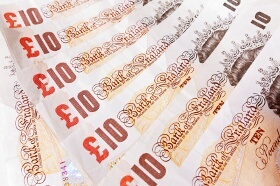 GBP/USD jumped from 1.2877 to 1.2987 as of 21:27 GMT today. EUR/GBP dropped from 0.8839 to 0.8770. GBP/JPY rallied from 140.50 to 141.81.